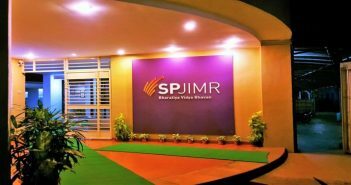 Women in the business sector, who wish to return to work after a career break, can now brush up their skills by joining an 11-month Management Programme for Women (MPW) launched by the S P Jain Institute of Management & Research (SPJIMR). MPW, a full time, post graduate programme, is designed to fill the knowledge gaps and skills development needs of women returning to a corporate career after a break of more than two years, SPJIMR says. Launching the programme in Mumbai on September 1, 2016, Deepak Parekh, Chairperson of the SPJIMR Governing Council and Chairperson, HDFC, expressed the hope that EPW would help businesses fill up senior positions and drive towards a more gender balanced leadership mix. Dr. Sumita Datta, Head of MPW said, “We want to make this programme a learning journey through which participants will enhance their knowledge, skills and confidence. “Our pre-partnership arrangement with large corporates opens up exciting opportunities for mentoring, internships and placements for the participants. This will contribute in creating a diverse and inclusive work culture in the long term,” she added. Rajkamal Vempati, Head HR, Axis Bank, a corporate partner for the programme, said, “Axis Bank has always been a strong supporter of women returning to the workplace after taking a break. Our ‘Reconnect’ programme focuses on bringing back the Bank’s women alumni, who are on a break and looking for avenues to re-start their career. “Women are dropping out of the work force during various life stage events and as corporates, its our responsibility to support their smooth transition back into the corporate world,” she added. The programme will be preceded by one month on-boarding to facilitate the participants’ transition into a full-time schedule. Admission conversations would include counselling and sharpening strategic competencies for mastering the corporate code. 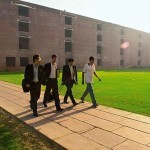 It also offers 3-months staggered internships with leading corporate firms. Each participant will have a buddy mentor from the industry for the duration of the programme. It aims at developing industry relevant skills enhancement spanning specific functional areas besides developing confidence and personal leadership capabilities. 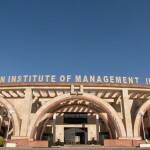 The specialisations offered are Finance, Marketing, Human Resources and Information Management. The participant will be trained in complex problem-solving, informed decision making and innovation while focusing on effective outcomes. She will be able to practice, influence and negotiate factors pertinent for success. The participant will also be able to exercise her personal leadership in ways that build trust and collaboration to enable a climate of synergy develop a growth mind-set that will empower her to realise her aspirations.